Look, I know what it’s like to suffer. Believe me. For instance, today we went to a friend’s house for dinner, and they only offered one type of craft brew as a beverage. Which wouldn’t be so bad except that it didn’t exactly pair with the appetizers they’d set out. And honestly, that would have all been fine except the kids were running around being a little too loud so I couldn’t hear everything going on with the game on the big screen. 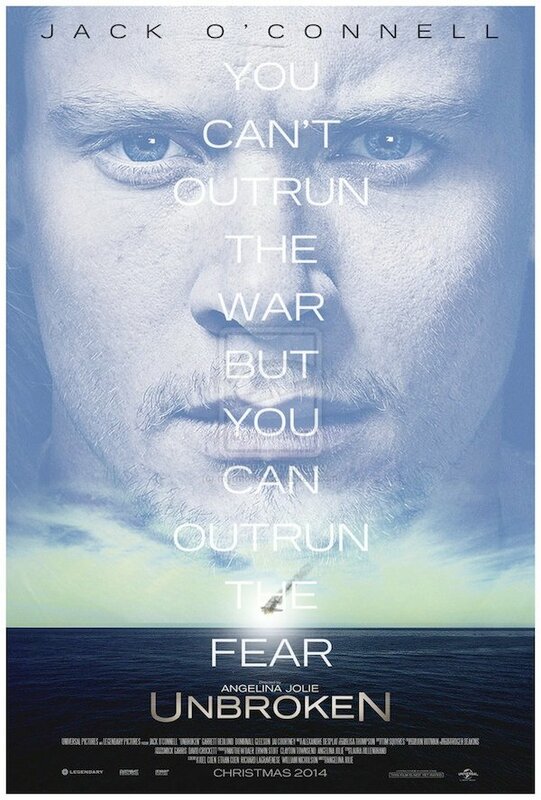 So there I am with my Dogfish Head 60 Minute IPA, choking down the Persimmon Pear Caprese Toast wondering what the announcer just said, and thinking, "Now I know how Louis Zamperini felt in the story of Unbroken." Having read Laura Hillenbrand’s novel a few years back, I was taken with some of the more moving pieces of the novel. How a dude trained hard enough at track that he became an Olympian. Getting shot down out of the sky during World War II and being stranded at sea for weeks. And then, of course, washing ashore only to find he was in Japan and immediately became a tortured prisoner of war. It would have been unbelievable had it not really happened, and that was somewhat of a mental hurdle for me as a reader. Just how bad could this runner run? It was this seemingly unending string of bad luck, surviving with one miracle only to be sent off the hell again and again that would prove difficult in translating to the big screen. And this is from a guy who really enjoyed the read. The book is outstanding. But the story is rough and the themes of faith and suffering could run the risk of coming off heavy handed. That appears to have happened in the adaptation. Critics have so far been lukewarm on Angelina Jolie’s take on the novel. Through about thirty reviews it’s currently sitting below the 50% mark - with many critics complaining that is too long and that it throws the suffering and redemption stuff in the viewer’s face over and over and over again. I can see it all becoming too much, as the story has so many elements of misery. I don’t really see it as a knock on director Angelina Jolie. I imagine his was bound to happen with anyone who took on the task of adapting Hillenbrand’s novel. There’s no winning here. Almost no upside. It’s a brutal story through and through, and though there’s a light at the end of the tunnel, getting there is excruciating. Critics have said as much and I doubt the score climbs much if any over the course of the week. As a dude who likes to put in a bet every once in a great while, I can see the allure of wanting to put it all on the line. 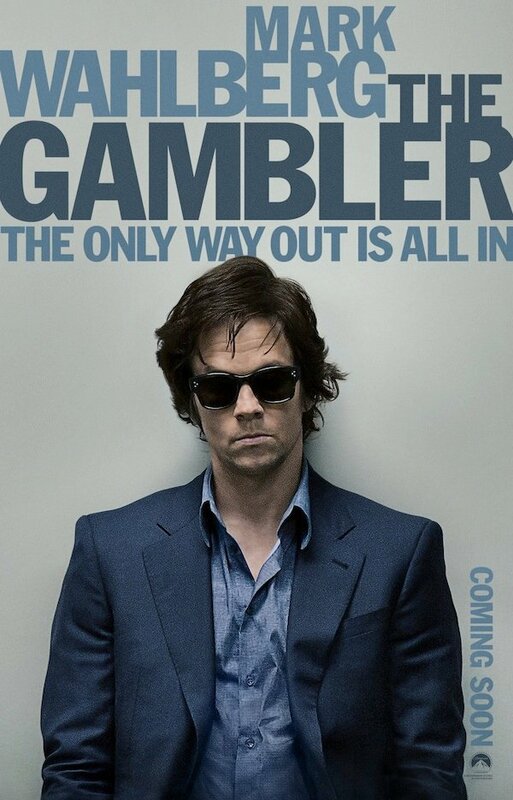 Though if heavy gambling makes someone wind up looking like Mark Wahlberg in The Gambler, we all might want to put the kibosh on casino construction right now. Because the after effects sure don’t look good. In fact, he looks more horror movie than feature length drama. It’s almost like PSA against taking too many bets. A remake of the 1974 film starring James Caan, this one has an emaciated Mark Wahlberg running some kind of game on the wrong side of some dicey dudes. It’s tough looking at the guy so skinny and sickly, though I suppose that was the point - make him appear every part the degenerate. He’s gone the other way with his physique in films, muscling up in order to play the part, but having him come in well under weight is almost eerie. In The Gambler, he looks almost like a close-to-dead version of himself. Wahlberg’s always playing a guy not too dissimilar from what I expect him to be in real life. But this one seems different. Critics are rather mixed about the remake. While some think it brings new life to the story from the original - especially with Wahlberg’s performance - others are bored with a flick that goes straight by the numbers. It’s not easy remaking stuff like this - you need to hit every note perfectly while also bringing something new to the table. That’s going to be tough with a straight beat-by-beat retelling. I suppose Rupert Wyatt and crew glitzed it up some to mirror the modern day take, and the trailer does give a sense of style and darkness. I appreciated the tone from that respect. But critics seem to agree there wasn’t much of anything new to be had. Wyatt’s had success lately with Rise of the Planet of the Apes (82%) and I think this will finish on the good side of the 50% bar, even if not by much. I’m intrigued by the premise of The Gambler and having not seen the original will most likely go back and watch both for comparison purposes. While the story might miss the mark (or regurgitate too much from the original), it seems the talented cast could make up the slack. And kids, don’t gamble. Look what happens to you. You become an ugly version of Marky Mark. Mrs. Rotten Week rarely gets excited for anything, but when she does, it’s about movies like Into The Woods. I would need multiple hands to count how many times I’ve tuned out the story of her and her sister watching the original version of this movie growing up -something they recorded off of PBS I believe. It was like a major part of their childhood, which allows some insight into the person that I married. That I constantly confuse this title with other movies and books that involve the words "In" and "Woods" shows what it’s like to be married to me. See? That’s how great relationships are formed. Check out the trailer for Into the Woods below. I don’t know about you, but I couldn’t be any less excited for this movie. The fairy tale fad is just so freaking unappealing. I really don’t get it at all. Studios seem to just take these long-since-interesting stories and give them new spins or tune ups in order to repackage crap we already all know about. It seems like a massive waste of time. 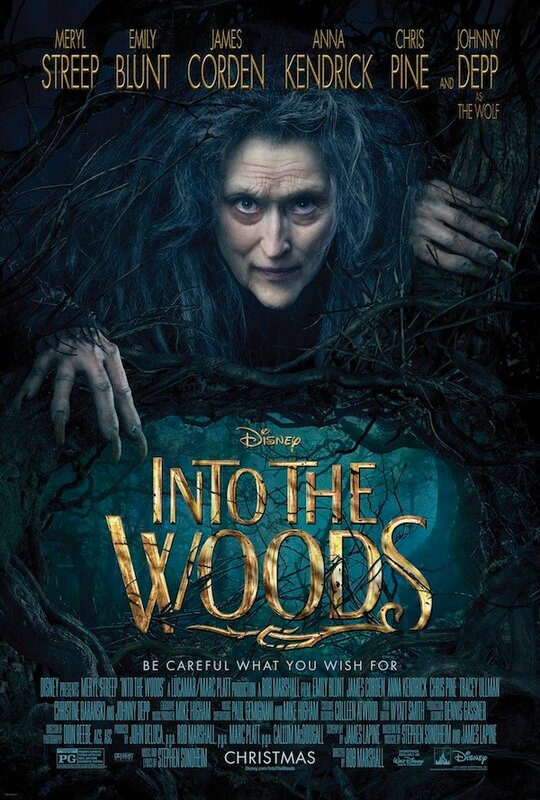 Unfortunately, it seems that I’m in the minority on this one, as the critical response to this film adaptation of Into the Woods has been positive thus far. This is very bad news indeed, as it almost assures the fact that I will have to sit in the theater with a giddy Mrs. RW. Thanks for nothing, Hollywood. Into The Woods’ cast is crazy will of talent, with the likes of Meryl Streep, Johnny Depp, Anna Kendrick and Emily Blunt to name just a few. Plus, director Rob Marshall has thrown a lively musical together before in Chicago (87%). So I guess it isn’t too surprising that something might come of this adaptation. Critics are praising how it pays tribute to Stephen Sondheim’s original play while also taking liberties with the effects on the big screen. A majority like what they see, which only means the fairy tale movie genre will hang around just a little bit longer. I guess I end up being the curmudgeon here; a dude who can’t get excited for the child-like irreverence and magic of fairy tale re-adaptations. So be it. But rest assured I’ll be seeing it. The wife as already booked the date. Which one of my predictions do you think will be closest? Overall, we had some good picks for the Rotten Watch last week. The Hobbit: Battle of the Five Armies (Predicted: 63% Actual: 60%) was right on the mark, and it helped that the film didn’t deviate too much from the first two in the series. Our own Mike Reyes gave it four stars in his review coming in on the high side as compared to the collective. I suppose with The Hobbit movies it very much depends your perspective. Whereas the Lord of the Rings trilogy was universally adored, appreciation for The Hobbit seems to be limited to those who thoroughly enjoy the genre. Meanwhile, Night at the Museum: Secret of the Tomb (Predicted: 49% Actual: 49%) was a direct hit! Boom. It dropped some over the course of the week, as I suspected it would, and landed right on the mark. Mike gave this one three and a half stars, which again outpaced his contemporaries. It’s like this guy doesn’t want my scores to be correct! What gives man? Finally, Annie (Predicted: 15% Actual: 29%) stunk, but not as bad as I thought. Honestly, I considered 15% to be too high going in and judging the film on its dreadful trailer- as well as some early looks at the film. I was going to go single digits and hedged at the last second. But some not-horrible reviews came along over the course of the week to pull this thing out of the gutter. Next time around the woman in black returns. It’s going to be a Rotten Week!